Pioneered by Apple Inc, iPhone is without a doubt a kind of extremely successful multimedia mobile device used by millions of people from all over the world. The device entwines three basic components namely a wide-screen iPod, a dynamic phone and a sophisticated Net device providing a free access to HTML email and a desk-class web browser. The technology used to design iPhone application or iPhone Applications Development is very similar to design Mac OS X application. Yet regardless of the resemblance in the tool and libraries being put into use, a lot of variations apparently turn up. As a result, a need of Mac OS X computer obviously becomes an inevitable need that can run and sustain Xcode tools. In certain cases, a Visual Studio Developer also plays a large role in this regard. Implementing all the specific components of iPhone Mobile Application Development like Interface Builder & Instruments and Xcode, BroadNet Technologies takes pride in creating adaptable applications and other important tools for iphone. The podium actually involved in developing applications for the iPhone and the iPod touch devices is the iPhone OS. All the essential applications and tools required for the development of iPhone OS are integrated with the iPhone SDK. 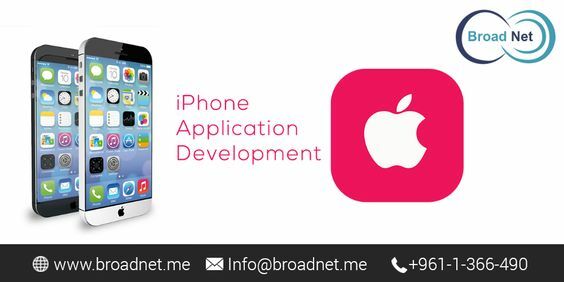 BroadNet Technologies takes pride in being a specialist in iPhone development, mobile game application and mobile application development etc. Having years of expertise and experience in the fields, our professional team of iPhone developers and programmers is committed to delivering integrated and guaranteed solutions for iPhone application developments. Firstly, we conduct a real-word testing over iPhone and deals out to different iPhone shops, which allows you to reach the target customer in a relatively less time. Besides this, we also specialize in manufacturing Web 2.0 iPhone applications and can impeccably integrate them to iPhone applications. BroadNet Technologies specializes in catering all solutions based on iPhone applications including mobile app development and mobile game application for all our esteemed global clients and customers. With the apparent outburst of iPhone nowadays coupled with the integration of innovative functions and world-class interface, you can truly count on us for every iPhone application development. Plus, our vast updated knowledge in Apps technology facilitates us easily to launch your applications online in a flash. So what are you waiting for? Contact BroadNet Technologies now for any solutions related to iPhone application developments and we will let you know how efficiently we can work for you.